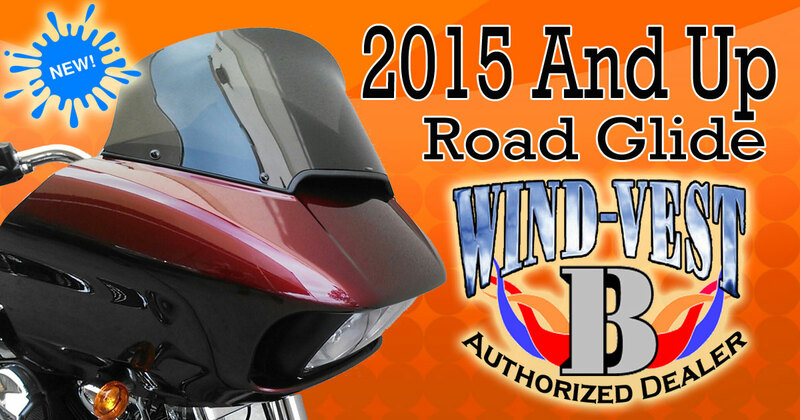 Wind-Vest high performance recurve flare windshields for 2015 and Up RoadGlide models. Size Options: 9", 10”, 12" and 14”. Not all Colors available in all sizes, color options will be shown based on size selected in Select Options. A WindVest windshield with its recurve flare design will provide the same protection as a "regular" motorcycle windshield that's several inches taller. Shown Below is a 14 inch wind vest. 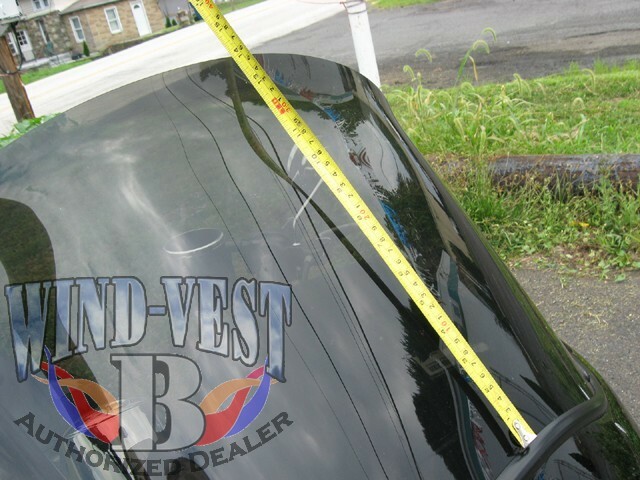 We are measuring from the top edge of fairing to the top of windshield this is how you should determine the height WindVest you would like to have. Please read the following before choosing your replacement windshield. Number One Rule: you do NOT want to be looking THROUGH the windshield. The best rule to follow: when the Wind Vest is installed and you are in your normal riding position, the top edge of the Wind Vest should be about level with your mouth or the tip of your nose..
Wind Vest has provided us with a sizing guide (SEE BELOW), but actual measurements taken on your bike would be the best guide. NOTE: Wind Vests have excellent optical characteristics, but they are not designed to look through. We will not consider "waviness" of the road seen through the recurve flare design of the Wind Vest to be a defect.